After awarding no building the prestigious Twenty-five Year Award in 2018, a first since the prize’s founding in 1971, the AIA has changed its tune for 2019. 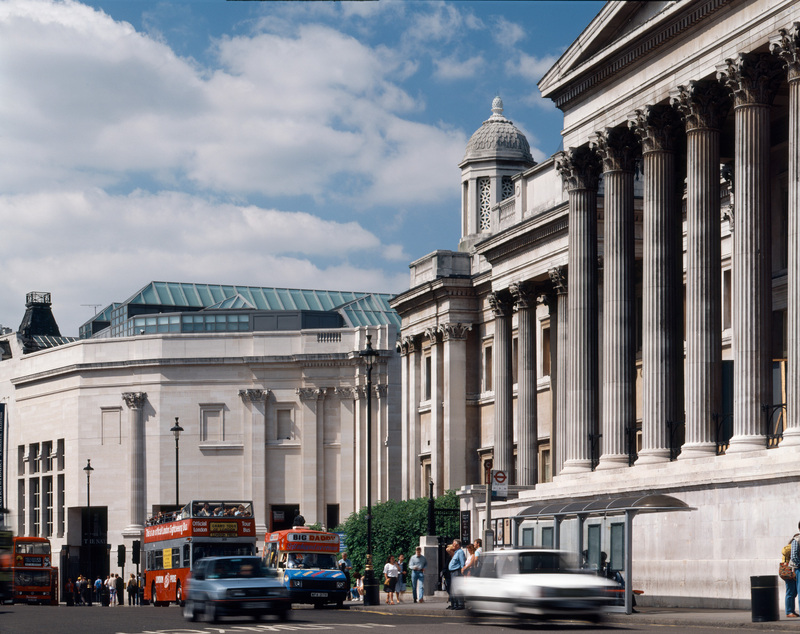 The 2019 award has been bestowed upon the Venturi, Scott Brown and Associates (VSBA)–designed Sainsbury Wing addition to London’s National Gallery. The Twenty-five Year Award was created to honor buildings that have “set a precedent for the last 25-35 years and continues to set standards of excellence for its architectural design and significance.” Additionally, buildings must be in good shape and still represent the original design intent. The Sainsbury Wing, a 120,000-square-foot addition to the 1838 National Gallery, was completed in 1991 and originally drew a mixture of scorn from both traditionalists and modernists who felt the scheme was trying to have the best of both worlds. 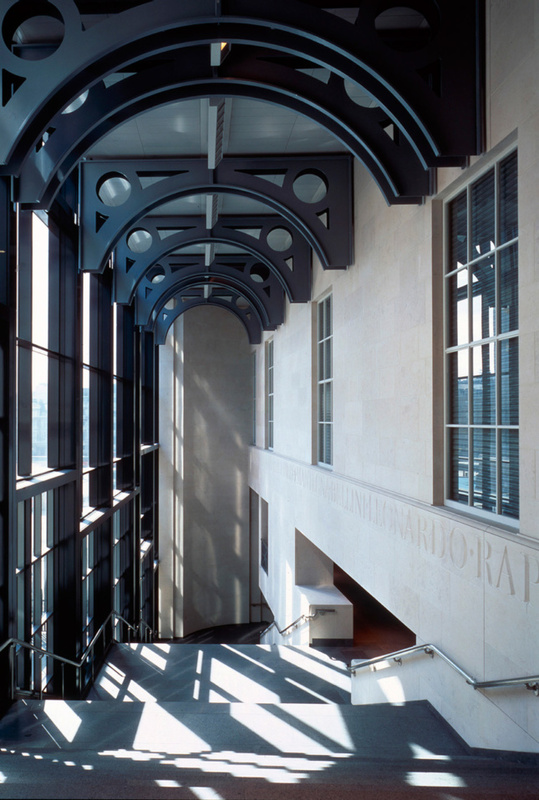 As Adam Nathaniel Furman noted in an essay on the building’s convoluted history, VSBA used Postmodernism as a way to thread the needle between opposing demands. Clad in a large, unifying facade but containing a delicately-balanced and intimate set of galleries within, the Sainsbury Wing feels both new and old at once. In 2018 the addition was awarded Grade I preservation listing status, the highest level of recognition in the UK. The decision to recognize the Sainsbury Wing this year is likely in deference to the late Robert Venturi; the building falls well within the 1983-through-1993 range that the jury was considering last year. This isn’t the first time the AIA has recognized the Sainsbury Wing though, as it was awarded a National Award in 1992. The 2019 jury included Jeanne Chen, AIA, Chair, Moore Ruble Yudell Architects & Planners (Santa Monica, California): Rania Alomar, AIA, RA-DA (West Hollywood, California): Alicia Berg, AICP, University of Chicago (Chicago): Raymond M. Bowman, Assoc. AIA (Pittsburgh): Katherine K. Chia, FAIA, Desai Chia Architecture PC (New York City): Shannon R. Christensen, AIA, CTA Architects Engineers (Billings, Montana): Eugene C. Dunwody Jr., AIA, Dunwody/ Beeland Architects (Macon, Georgia): Henry Moss, AIA, Bruner/Cott & Associates, Inc. (Cambridge, Massachusetts): and David Rosa-Rivera, Savannah College of Art and Design (Bayamón, Puerto Rico).